William Kamkwamba recently graduated from Dartmouth College. 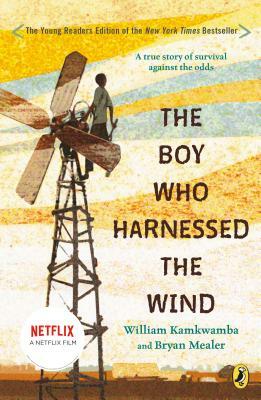 The original version of his memoir The Boy Who Harnessed the Wind was a New York Times Bestseller and a Publishers Weekly Best Book of the Year. He divides his time between Malawi and San Francisco, California. Bryan Mealer is the author of Muck City and the New York Times bestseller The Boy Who Harnessed the Wind, which he wrote with William Kamkwamba. Since publication, the book has received many honors and has been translated into over a dozen languages. Mealer is also the author of All Things Must Fight to Live, which chronicled his years covering the war in the Democratic Republic of Congo for Harper's and the Associated Press. His forthcoming book, The Kings of Big Spring, a multi-generational saga about his family in West Texas, will be published by Flatiron Books in early 2018. He and his family live in Austin.